Janet South has been building the company for over 20 years. In that time, the business has evolved into a protective liquid coating manufacturing operation with over 50,000 square feet of warehouse space and large outdoor lay down area. 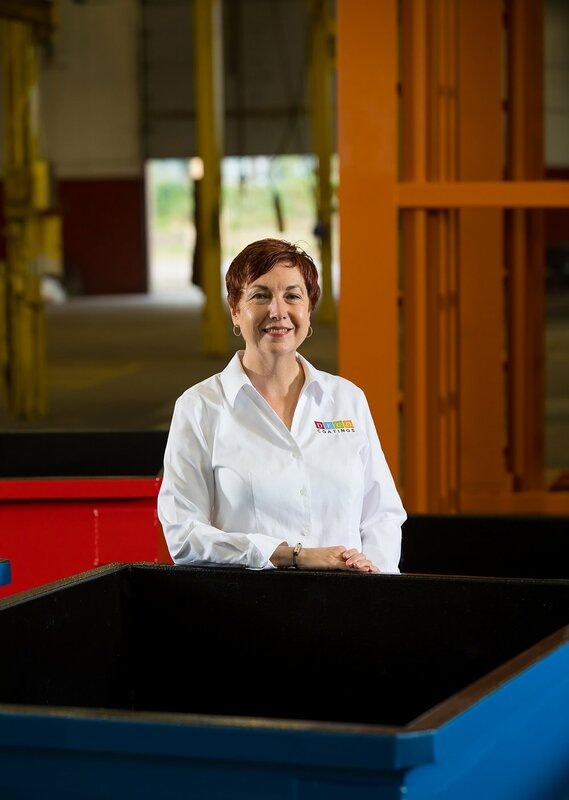 Janet is an innovator and leader in the protective coatings industry and the creator of Delivering Early Coating Options. Serving on the Indiana Subcontractors Association Subcontractors Education Committee, Janet is involved in several community-based outreach programs to promote job training and placement in the construction industry.